Current feature: A Christmas in 1971! Remembering the Marx Stony Smith Paratrooper Set in 2013, 42 years later! Here is a story I thought I would share with everyone as we close the year. Here is a replaced toy of the past. In the 1970's, Marx Toys made this huge Stony Smith Childsize paratrooper set! 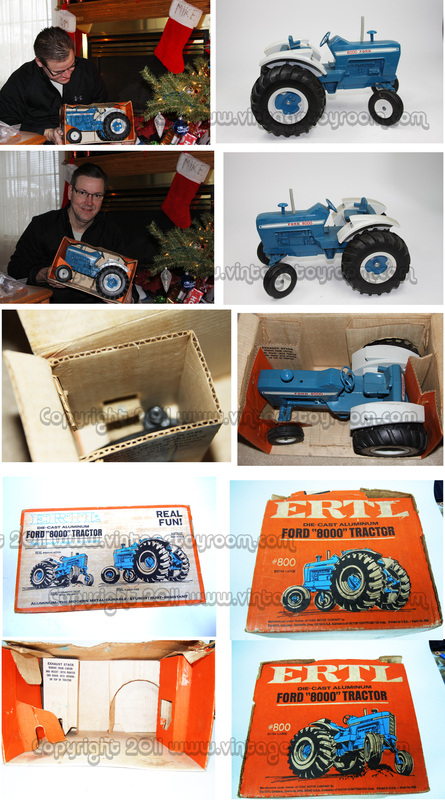 The set simulated the same accessories sold with the Stony Smith and Buddy Charlie 1/6 scale toys! Notice the Thompson machine gun, helmet, field pack,scabbard w/ knife, holster w/ pistol, entrenching tool shovel, note the canteen and bayonet is missing. 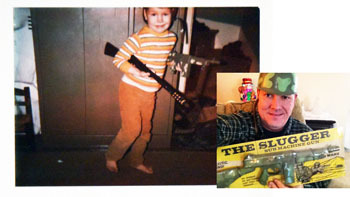 The other Picture on top is a vintage shot, early 1970s with me holding the Thompson machine gun and a daisey pump air sonic sound rifle. they are loud! Cool toys from the past never to be remade (orange tips would be added at the least) These toys were realistic and added fun imaginating back in a time when boys could be boys, and soldiers, LOL. I have had the item on my radar at toy shows and flea markets for quite some time, but was unable to get one still mint in the box.